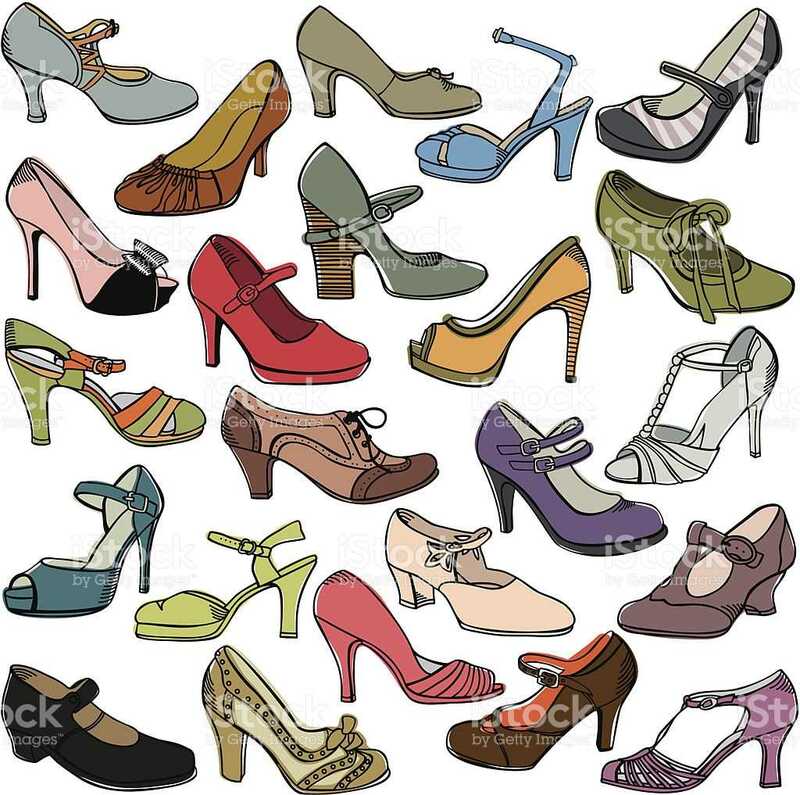 Sandals, running shoes, rain boots, snow boots, flats, stilettos, pumps, flip flops and slippers – if you’re like most your closet likely contains a wide assortment of footwear made from a variety of materials. 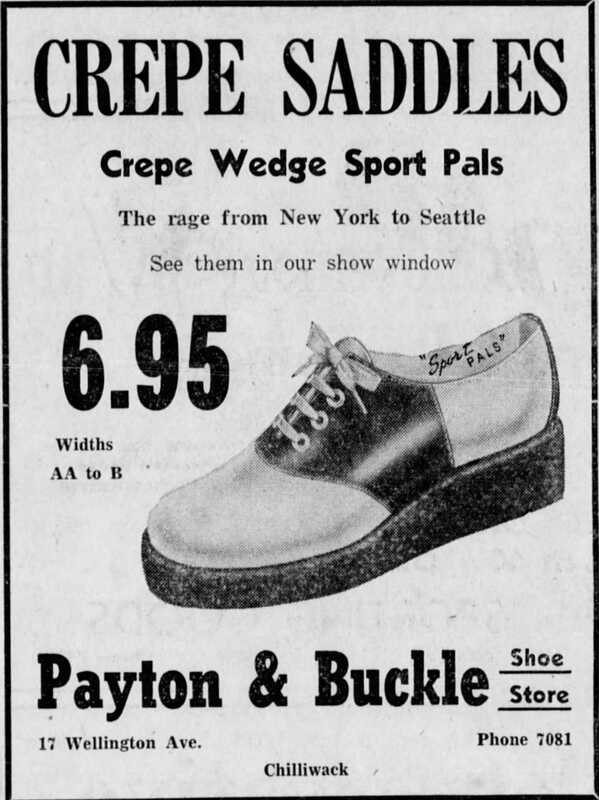 Shoes in one form or another have been around for thousands of years. Foot coverings were created out of necessity to provide the feet protection from the elements and depending on the climate would have been cobbled together from leaves, vines, animal skins, fur and sinew. Over the centuries shoes have evolved into a fashion statement – especially for women -and are no longer strictly for protecting feet. Unlike our grandparents whose shoe choices were usually limited to a few pairs – a pair or two for daily wear and a “good” pair saved for Sundays, today piles of shoes clutter up our entryway and closets. If fact, some view shoe shopping as therapy. And comfort? How can anyone believe those high-heeled, pointed toe, bone crushing shoes are actually comfortable? 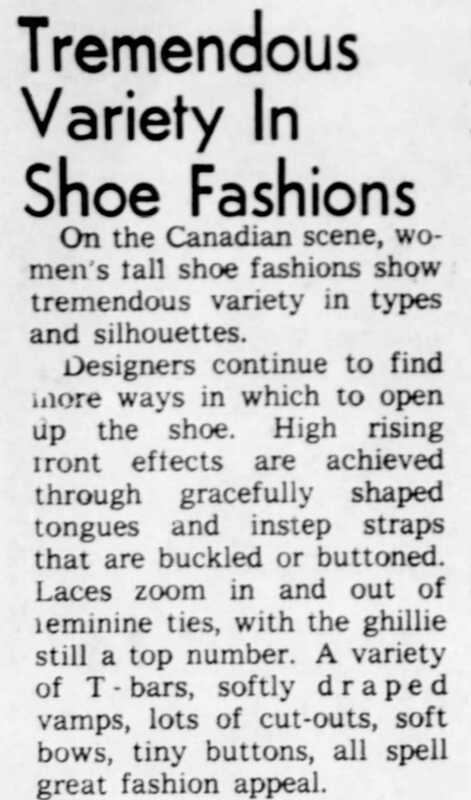 Here is a look at shoe advertising from the Chilliwack Progress over the years. 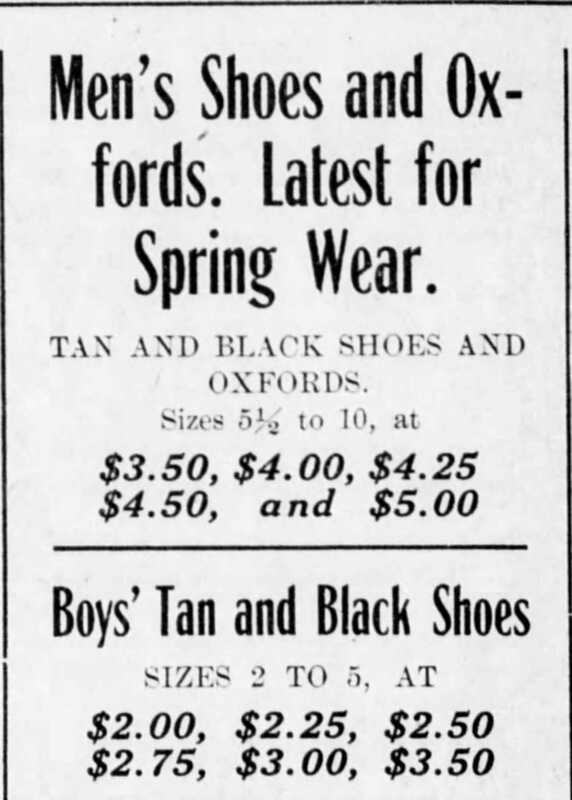 Unlike today, plenty of small independent shoe stores were scattered throughout the downtown offering footwear for work, school, home and church.